The Invicta 6620 II Collection Chronograph Stainless Steel Dial Watch is a simple and stunning watch. Powered by Swiss movement, it is big, yet understated. 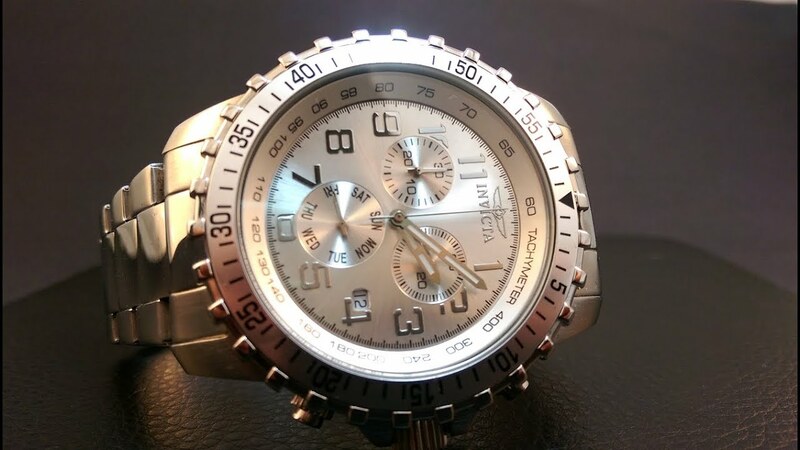 This all stainless steel silver chronograph watch is stylish, with a coin edged unidirectional bezel. It has three chronographs and the date at 4 pm. The Invicta 6620 II has been well received in terms of its appearance and feel, and even more so based on the price it costs to acquire one. It has the feeling and looks of a much more expensive watch. The 6620 like the Invicta range is large. It has all silver colored strap, face and unidirectional coin edged bezel. The watch has a three hand display, with the date at 4pm, with chronographs showing 60 seconds, 30 minutes and the day of the week. These working chronograph add to the overall allure of the watch as does the coloration and general presentation. The watch also works under water to 100 meters, so you can wear it to the beach and enjoy swimming and snorkeling without worry, and its appearance is classy and subtle. This timepiece is more understated than others in the same price bracket and is better for this. We have an “affordable” watch with Swiss components and all silver coloration. The trim is neat, tidy and stylish. It is less fussy than others in the Invicta range and the coin edged bezel is stunning. The watch feels and looks well made. It can be used to 100m, so it is suited to swimming and snorkeling, though not diving, and has a great addition in the three working chronographs. Is it affordable luxury? Swiss components, three working chronographs and a coin edged unidirectional bezel suggest yes. It is a big, yet subtle watch, big enough to suggest expensive, but not brash enough to demand immediate attention. The watch is a handsome, understated stylish watch that will survive changes in trends or fashion. Not having gold or other colors means that it is more easily matched with outfits, yet has enough impact to be noticed. It is a watch that fits for both recreation and formal occasions. I simply adore the all silver coloration, and the detailing on the bezel, to make it coin edged, is a very handsome addition to an already smart watch. These are little details add to the style and appearance that give the 6220 a look and feel of a more expensive brand. For me, I think it is one to commend Invicta for creating, top marks. This watch may not have the immediate wow of a golden watch, as it may not get noticed as readily. However it will get noticed by the astute and stylish within your group, those that look beyond the shine. But this is more stylish, more demure, but can still have a big impact. It is all silver colored, with a unidirectional bezel. The bezel has a lovely coin edged look, a very smart nod to style. The date is at 4 pm, and there are three working chronographs for the day of the week, 60 seconds and 30 minutes. The watch benefits from Swiss movement, which remains a must for some. The stylish extras, come as standard but are all lovely features in their own right. The watch is competitively priced. The value far exceeds the price tag. Most positive reviews speak of the look feel and presence, that it exceeds and betters all expectations. It is noted that many are simply blown away by how much watch can be bought for their buck. Its band is a 9.5 inch standard gentleman’s size. The band is silver stainless steel. The watch is silver and the bezel a coin edged silver. Though some reviews have questioned the build quality, the vast majority of the reviews remain very strongly positive, and the poor reviews appear to be anomalies rather than trends. The watch is very well thought of indeed. The watch has simple lines, an uncomplicated appearance, one that exudes style and sophistication. The silver coloration is neat, and handsome. The bezel would look neat without the edging, but the coin edging gives it that classy, “expensive” look. It is a real nod to style. The three working chronographs are great, especially the day, as this ties in lovely with the date, which can be found at 4 pm. I consider it Impact Watch, perhaps not the immediate impact of others, but give it time and it will make positive impressions. It may not hold the first glance, but once viewed up close, it will hold the second glance for a very long time. Size and weight give an expensive feel and appearance too. This watch is adaptable enough to cover both formal and informal functions. Smart enough too for work, rest and play. It looks great and is said to be great by the vast majority of those that have reviewed it. Is this a “luxury” watch, I am not really sure what makes a luxury watch these days. It is not exclusive, because it is affordable, yet its looks are simple and elegant enough to suggest it is not your run of the mills watch. 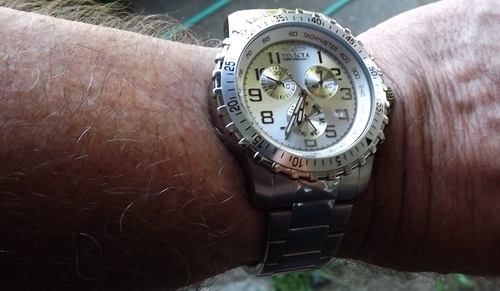 Unlike some of the Invicta, it will not reach out and grab attention, but by the end of the night I am certain that it will have had enough attention to suit the person wearing it. A silent assassin of a watch in that respect. If you want an affordable stylish, smart and handsome watch that has a good “feel” to it, and looks great, with added detail where needed and benefits from chronographs and under water capabilities, then this may just suit you down to the ground. 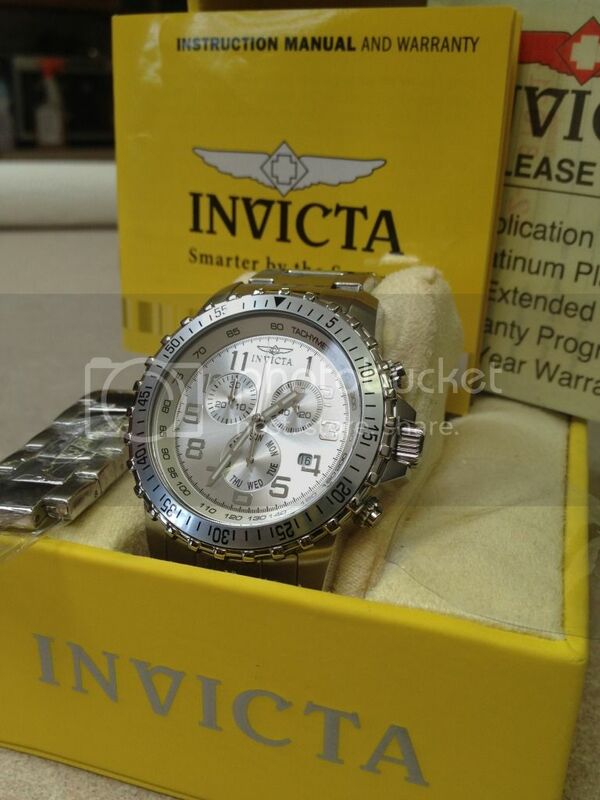 For me, I think it is one to commend Invicta for creating, top marks.